But some “bad” things that happen to us make us better — and help us develop compassion and build empathy. Using crutches and a wheelchair teaches you not to take the ability to do everyday activities for granted, and to be thoughtful, respectful and helpful to people with temporary or permanent disabilities. You wouldn’t think people would neglect to hold a door open when a person on crutches is right behind them going into a store, but they do. When the door slams in your face and you can’t grab it or the crutches will fall (and so will you), all you can do is shake your head in amazement, stand still and hope a more considerate person will come along soon. People can be pretty thoughtless. And you don’t want to be one of them. Using a wheelchair helps you understand what the world is like every day for wheelchair-bound individuals. You can’t get to your job or an event on the second floor if there’s no elevator, or it’s not working. You can’t even get onto the sidewalk of the building to go inside if someone parks a vehicle in front of the curb cut to access the sidewalk. (This happened to me, and having to ask two burly strangers to lift me — seated in the wheelchair — from the parking lot to the sidewalk on a 99 degree day was a humbling experience for all of us. I’m not that light, either.) Hours later, when I finally tracked down the person responsible — so I could leave the building at the end of the day — it turned out to be the man teaching the class I was attending. Although he knew I was in a wheelchair during the week-long class, he didn’t stop to think that I needed access to that curb cut to enter and exit the building when he pulled the golf cart he was riding in front of it and blocked it. It gives you a real attitude adjustment — and teaches you to be considerate to waitstaff and generous with tips. During college, I worked one summer as a waitress in a restaurant where servers wore hot pants (kind of a local Hooters for legs; the man doing the hiring never looked above my waist). What do you say when a male customer tells you he wants to order, “you, on a bun”? And keep your self-respect and not get stiffed on a tip? Until your legs have ached after an 8-hour shift on your feet day after day and you’ve toted a container of coins home after work hoping they amount to something, you really don’t have any idea how tough it is to be a server. If you’re “lucky” enough in life to have had these two experiences, I’m guessing you’re a kinder and gentler person than you were before you had them. And I bet you never forget the situations you encountered, either. 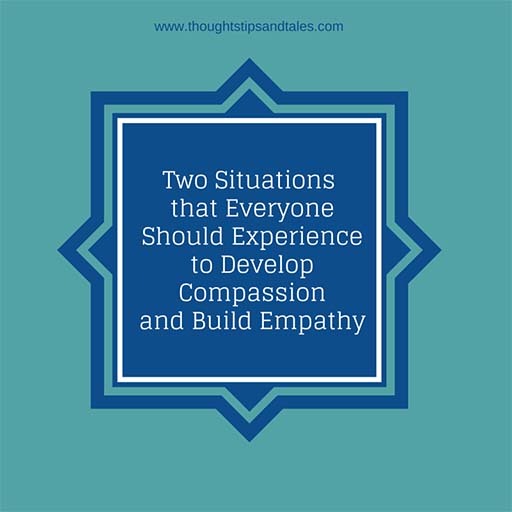 This entry was posted in compassion, crutches, disability, empathy, experiences to build compassion, experiences to develop empathy, waitress, wheelchair. Bookmark the permalink. I have had to use crutches and the wheelchair thing too…thank goodness that nightmare passed. lol. You are so right about the living on tips things. That’s why we always make sure to tip past the 20% for sure.